Make Dolphin Marina Your Hideaway on Little Torch Key, Florida Consider Dolphin Marina your home while fishing, boating or diving in the Florida Keys. You are sure to catch the time of your life at this Lower Keys lodging and fishing venue. Located at mile marker 28.5 on the picturesque Overseas Highway, Dolphin Marina is close to Key West, just south of Big Pine Key and is the gateway to the picturesque Little Palm Island. 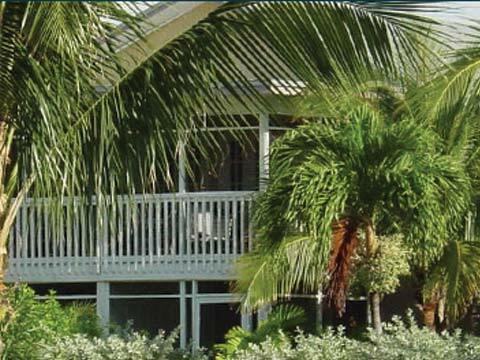 Our â€œIsland-Styleâ€ suites in the heart of the Florida Keys are ready for your visit. Whether your getaway lasts one night or more, we invite you to stop by when you are â€œdown island.â€ (Located at the intersection of 24.39.95 degrees north latitude and 81.23.28 degrees west longitude). Our fleet of Angler rental boats is ready for you to cruise, fish or dive the luscious surrounding islands and offshore reefs with reliability and safety. The marina store, adjacent to the marina, offers all of the essentials for your day on the water, including fuel, refreshments, tackle, and more. Ask us about arranging an expertly-guided fishing and diving charter right from this marina. Dolphin Marina offers everything you need for a perfect day of fishing, diving and boating. We can provide you with the best of everything you need for your excursions throughout the lower keys. Dolphin Marina offers Boat Rentals, Docking, Launching and even Storage for your trailer. Of course we have fuel, water, electricity for your boat and our Marina Store has all the supplies you'll need for your trip. Boat Rentals at Dolphin Marina Our fleet of well maintained rental boats are well-pointed and comfortable. Fish our surrounding waters, or dive and snorkel at nearby Looe Key National Marine Sanctuary aboard a quality rental boat that doesn't scream "RENTAL!" The folks here at our marina maintain our fleet of AnglersÂ® to exacting standardsâ€”from top to bottom. We offer several shapes and sizes for every budget, from four hours to a week or more. Lodging Accomodations Dolphin Resort features cozy guest houses located on the picturesque waters of Newfound Harbor, just south of Big Pine Key, Florida. One cottage overlooks the water while two other buildings contain one and two bedroom units and enjoy the luscious palm trees vista. All rooms have refrigerators, coffee makers and cable TV. Our island-style apartments vary in size and are fully furnished. Most are equipped with full kitchens and screened porches. From single travelers to couples in search of a quiet getaway, we have suites to fit everyoneâ€™s needs. You can also consider Dolphin Marina for your company getaway retreat. The Florida Keys are Renowned for World-Class Fishing! At Dolphin, strong personal and working relationships are maintained with many of the locally based, full-time fishing guides. While some specialize in working the reefs, others are masters of the flats. From chasing the elusive Bonefish (aka Gray Ghost) to brawling with the spectacular blue marlin, our preferred guides below will â€œput you on fish.â€ Feel free to contact them directly to arrange your charter. All of the guides listed below are licensed and insured (and they all make excellent company on the water).